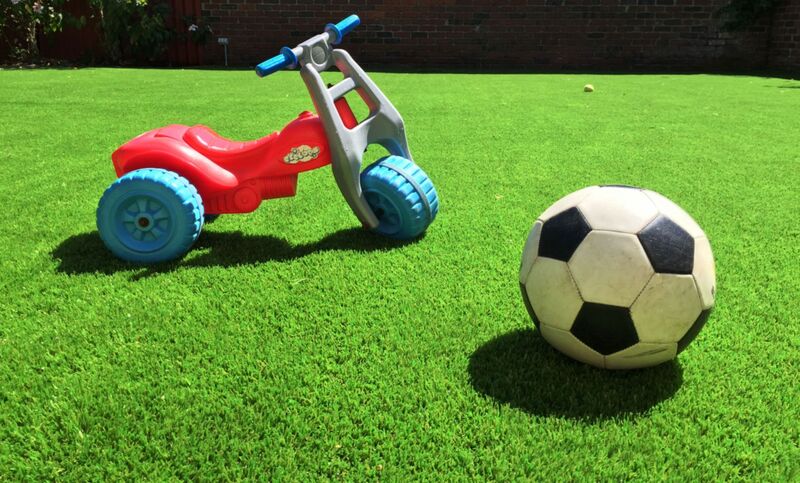 Greenprint Synthetic Artificial Grass Never Looked More Natural. with the experience of a big company. We're serious about making you happy, your landscape is our reputation. 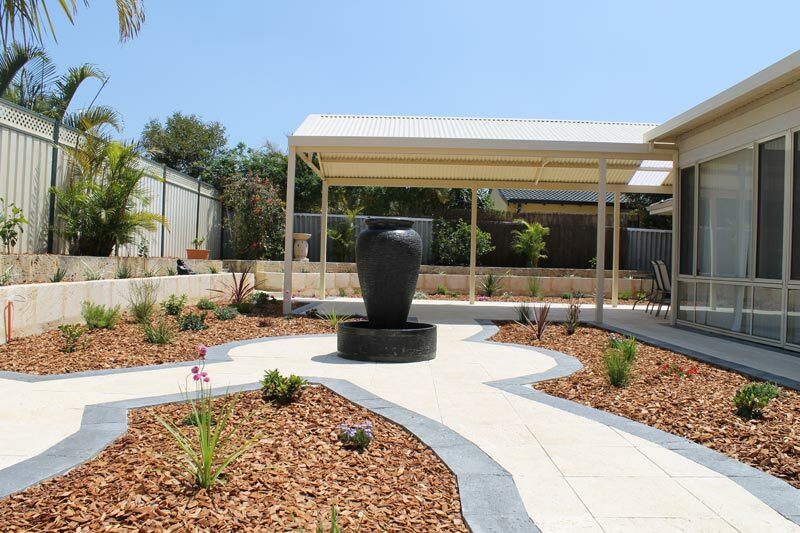 Here at Greenprint Landscapes, we pride ourselves on our landscape design in Perth. Our affordable landscaping in Perth will transform your garden into a true haven, a place where you can escape and relax whilst feeling at one with nature. Your garden should be a place where memories are created and the good times are shared with family and friends. 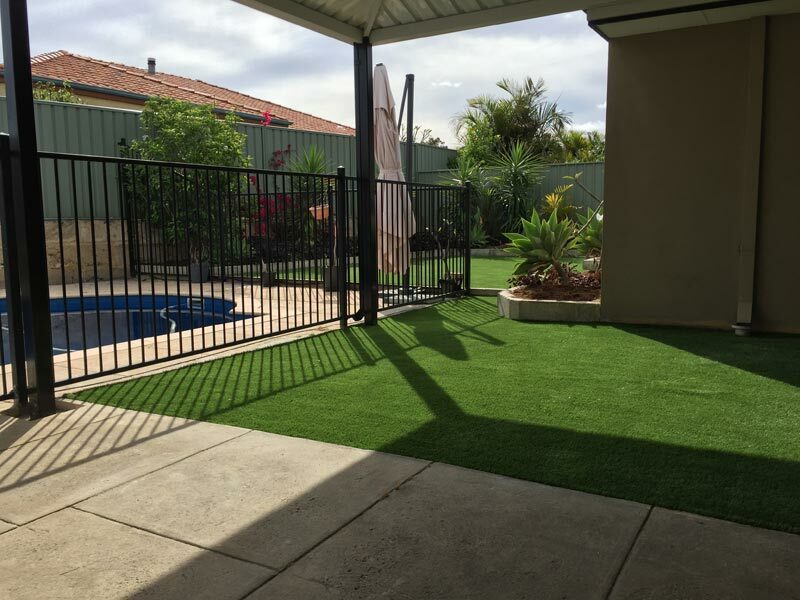 As Perth landscapers, we primarily specialise in artificial grass in Perth, appreciating that the harsh climate to which we are exposed makes growing natural grass something of a challenge. 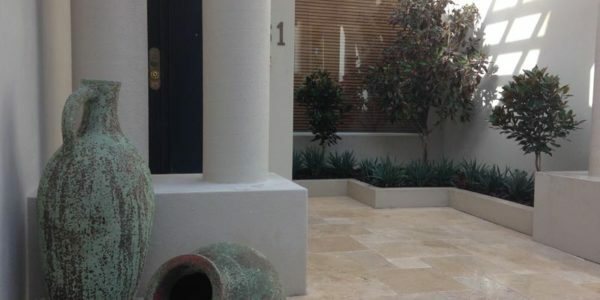 Our skilled landscape gardeners in Perth will help to create that perfect outdoor space that fully reflects your home, lifestyle, and your aspirations. 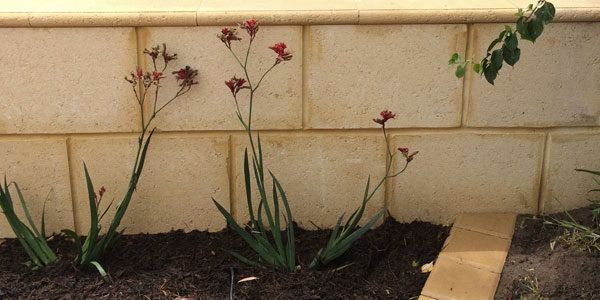 Our landscape designers in Perth can create masterpieces from unique courtyards to elegant garden beds. As you can imagine, with many years’ experience, our passion is horticulture and we simply love to combine this with creativity. 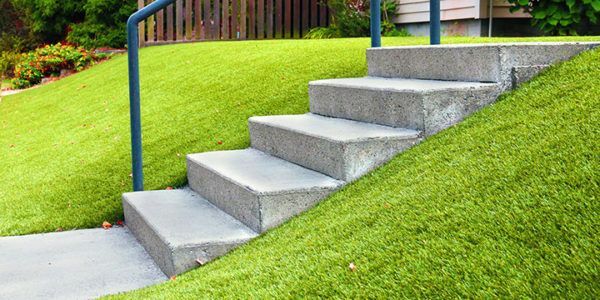 We appreciate that sometimes the mere mention of artificial turf can lead to raised eyebrows when talked about alongside garden landscaping in Perth, but in reality, it is something that has come a long way in recent years. 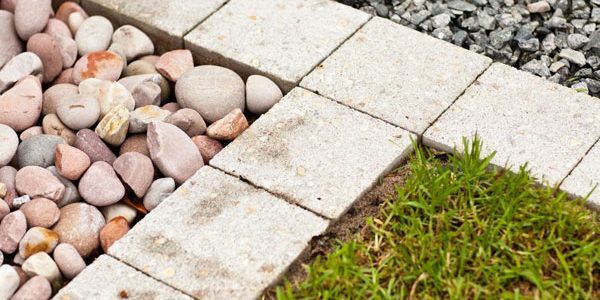 It is almost identical to the real thing, creating a great feature that requires very little maintenance. 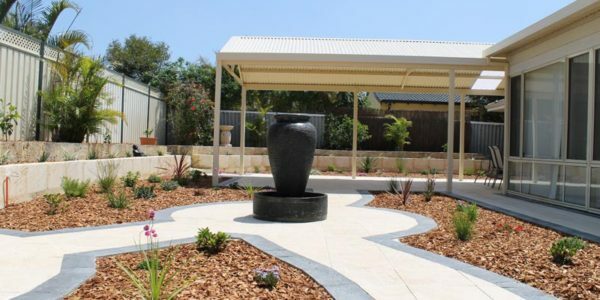 As Perth’s affordable landscaper, we offer full landscape design and landscape gardening services all across the Perth Metro area. 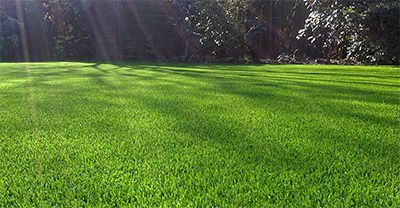 Our services quite literally range from general maintenance through to complete garden design and everything in between. Whether you are a commercial, industrial or residential customer, we are here to help you. 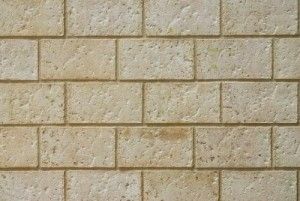 So, if you are looking for landscaping in Perth, we would invite you to contact us for a free quote. 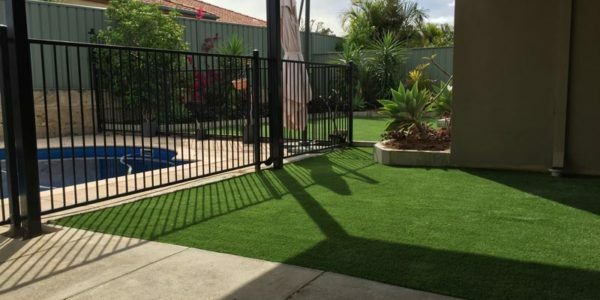 As experienced Perth landscapers, we have redesigned backyards for clients looking to sell, breathe new life into previously struggling turf, as well as installing reticulation systems that make garden maintenance a simple task. 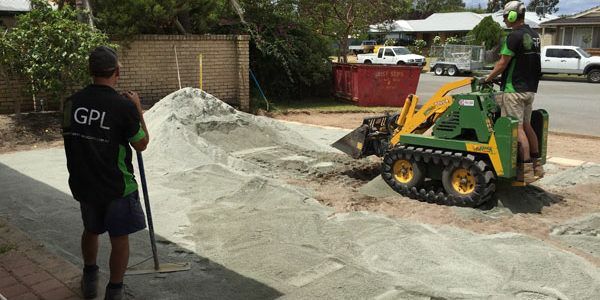 Passion, when it comes to landscaping in Perth, is something that we feel sums us up. 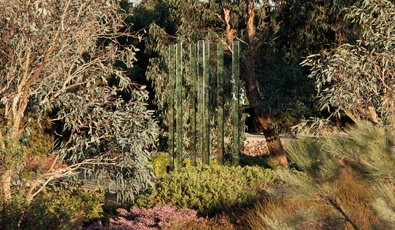 Our goal is to create low-maintenance landscapes that consider Perth’s warm, dry climate. A lack of water doesn’t have to mean that you can’t have a beautiful outdoor space; you just need to plan accordingly. 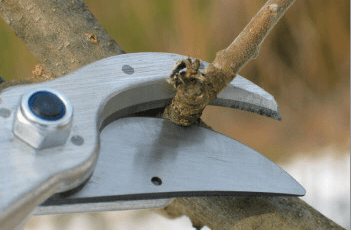 As professional landscape gardeners in Perth, our aims to design and create outdoor living spaces that are a perfect combination of beauty, practicality and suited to the local climate. We place client satisfaction at the top of our list of priorities. Our focus is on providing a professional landscaping service that is delivered with the care that you would expect. At Greenprint Landscapes, we offer landscaping ideas in Perth and work closely with you to give you the garden that you have always dreamed of. We firmly believe that understanding your dreams and aspirations is vital. For this reason, we take the time to sit down and listen to what you need and are looking for. Attention to detail is of paramount importance and this ensures that each and every job is completed to the highest standard. 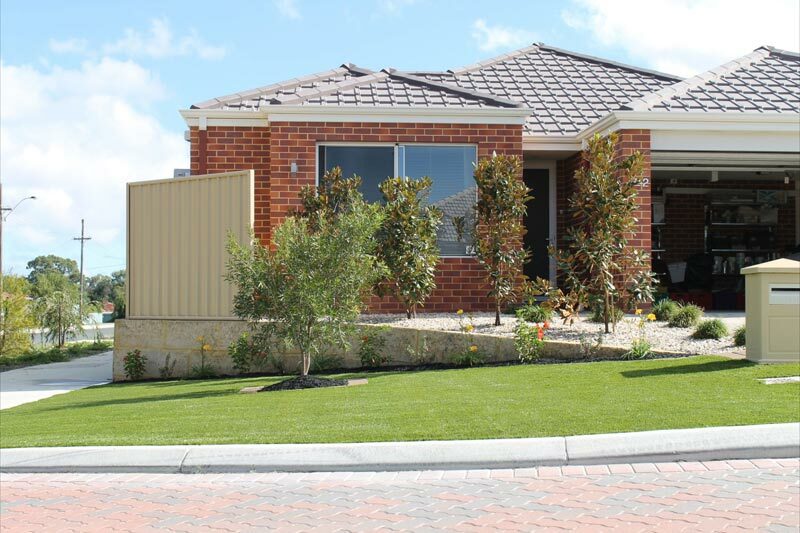 When it comes to affordable landscaping in Perth, we’re only happy if our clients are happy. Pride in our work is essential to our success and your happiness. 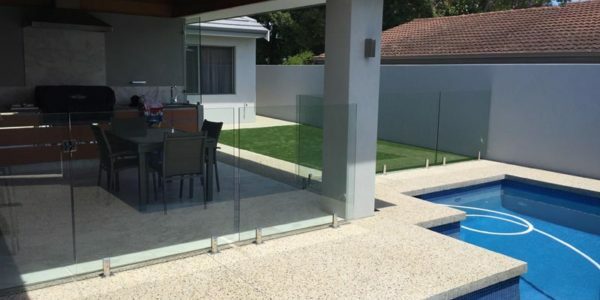 Through our years’ of experience, we understand gardens and landscapes in Perth and this gives us the platform to appreciate what our clients are looking for. Our experience helps us to make useful suggestions that will assist you with getting the best possible garden and haven for relaxation, not to mention the odd party or two! 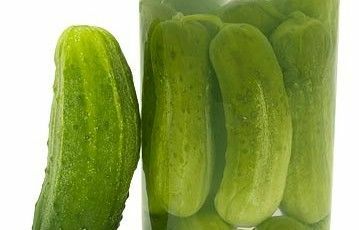 We know that you will be delighted with the final product that we supply. How do we know this? Simply, because we work with you and not for you. 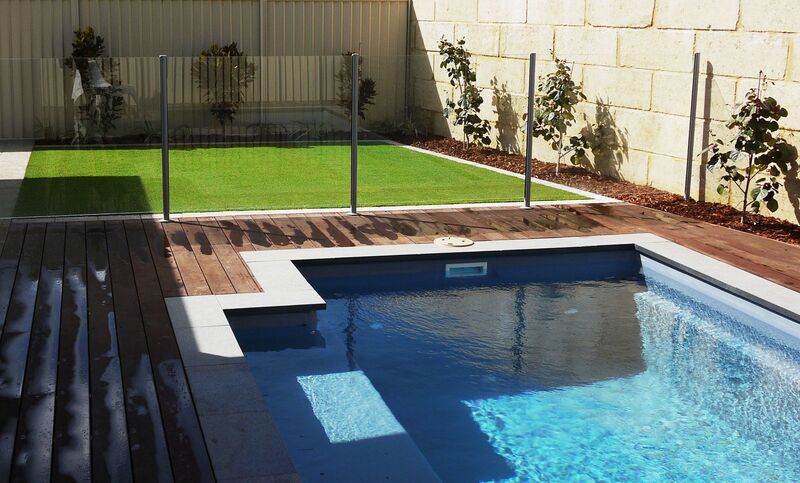 As we stated, artificial grass in Perth is one of our main services but our landscape design in Perth is our passion. 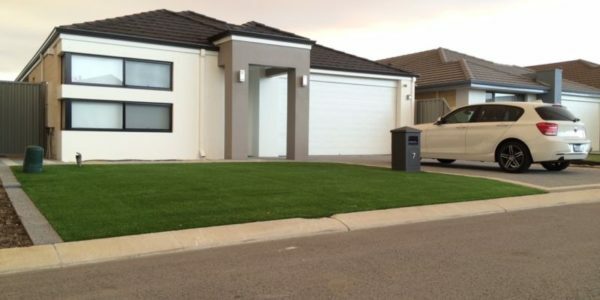 We offer the best prices and as you can see by our testimonials we have dozens of satisfied clients to whom we have delivered the perfect landscape gardens in Perth. Just remember every client is important, we believe we are the best and we only use the best! When you think about landscape gardeners in Perth – think of Greenprint Landscapes. 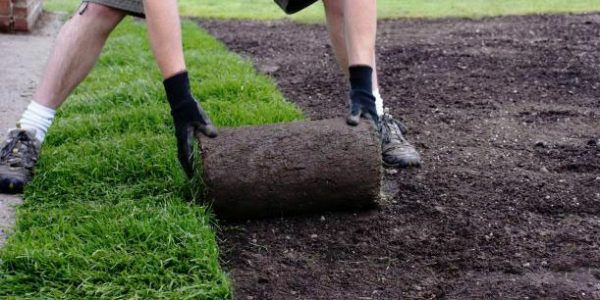 For Landscaping Perth free quote please get in contact with us! 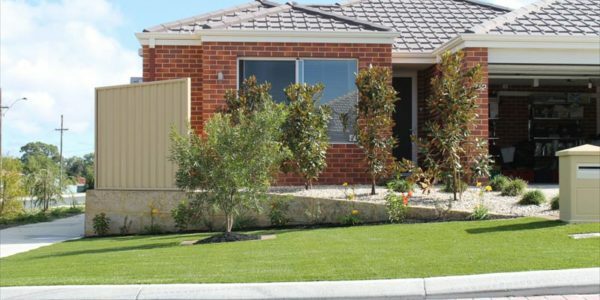 If you are looking for affordable landscaping in Perth then we would invite you to call us on 0402 532 093, email on daniel@greenprintlandscapes.com.au or alternatively, you can contact us directly via our website. We look forward to hearing from you. One of the most difficult aspects of engaging any contractor is establishing a sense of trust at the initial quoting stage in their ability to complete the work at a professional standard, on time and on budget. After the first meeting with Chad my instincts reassured me that Greenprint Landscapes were going to deliver. What I appreciated with Greenprint Landscapes was that they were willing to engage in positive and construction conversation by listening first then offering ideas and pragmatic solutions to challenges which as a novice I didn’t fully comprehend. 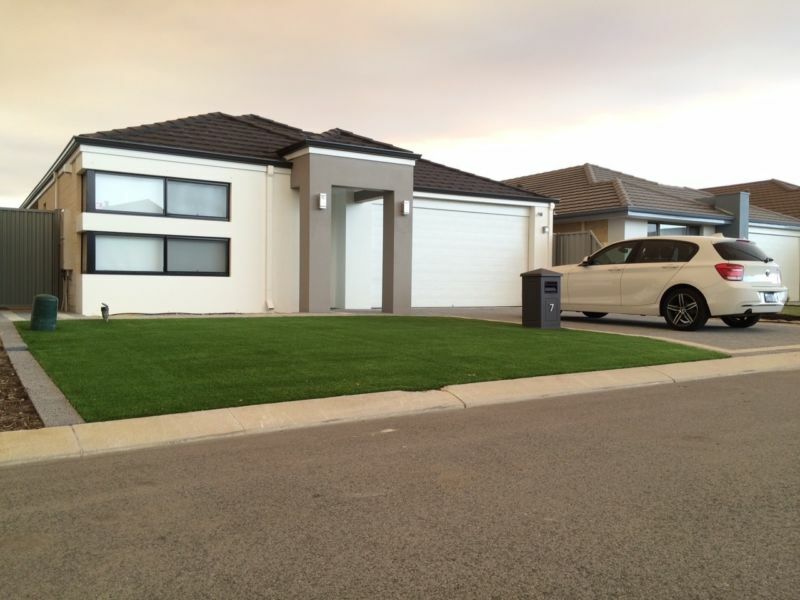 The result was our dream lawn, reticulation and landscaping – my wife and I couldn’t be happier. I couldn’t recommend GreenPrints Landscapes any higher. What a total transformation from a barren old looking backyard to a modern resort style resort in our own backyard. Their enthusiasm and vision is amazing. 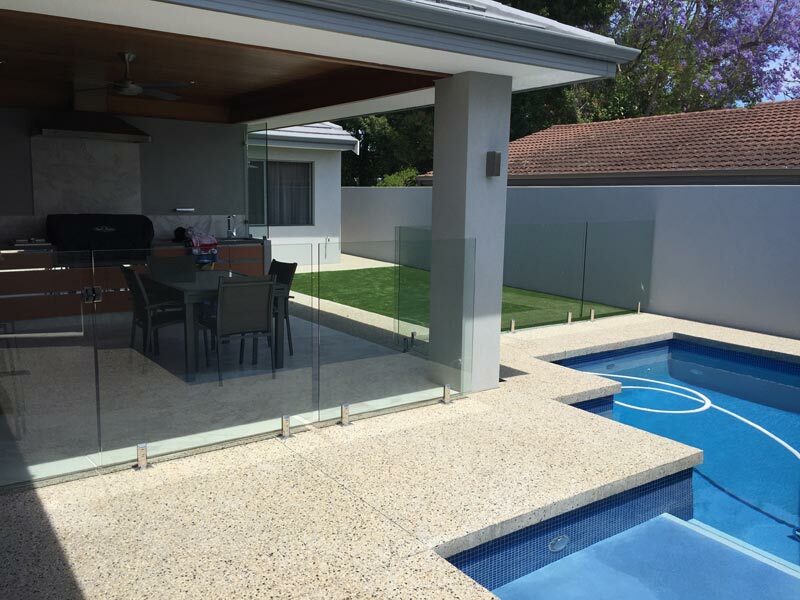 Exceptional workmanship includes massive retaining walls with limestone, terraced limestone area with artificial turf, including timber seating, huge paving around the pool area, beautiful planting and rectic. There was nothing that wasn’t any trouble throughout this whole job. Highly recommend this company for any job. In June I had to organise landscaping for our rental property in Perth from my home in Canberra. Having no idea what was involved or the likely costs I contacted several landscapers via email. Chad from Greenprint was prompt in replying and after several telephone calls to make sure he understood my needs (nothing was too much trouble for him) drafted a plan and quote for my perusal. He also sent me photos of a similar project he had completed at his own house. As a result, I had not hesitation in engaging Greenprint to do my landscaping. When I arrived in Perth, Chad met me at the property and ran me through the plan making sure I was completely happy. 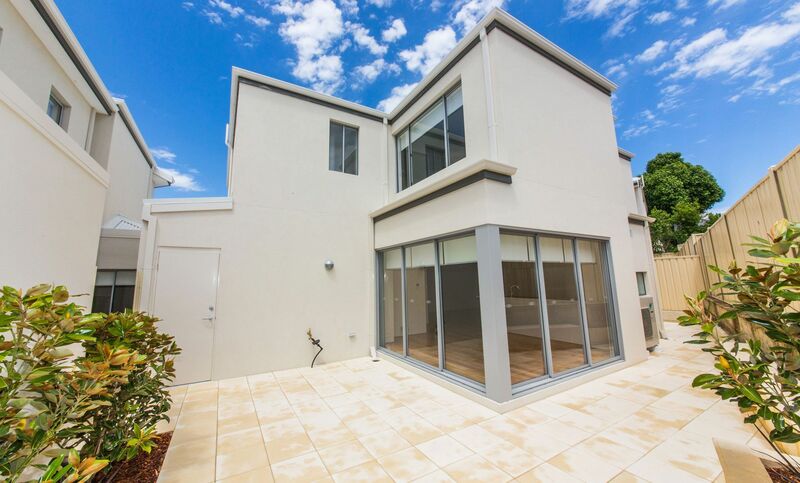 As I had to return to Canberra prior to the completion of the work, Chad liaised with the property manager who confirmed that Chad and Greenprint were delivering as promised. Upon completion, Chad sent me photos of the project which again only highlighted that I had made the right choice. I thoroughly commend Chad and Greenprint Landscapes to anyone thinking of undertaking a garden makeover – you won’t be disappointed. If your looking for a friendly and approachable service with the professional results, then these are your guys! 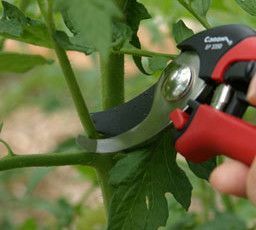 I haven’t done anything in regards to landscaping before and these guys made it easy. They are accommodating to ideas and easy to talk to. The end result transformed my house and it’s now an open modern courtyard, for me, my friends and the dogs!! I got 3 quotes and Greenprint was also the cheapest. Very happy! Chad, Daniel and Ricky made my landscaping blue prints turn green and alive with their expert craftmanship. 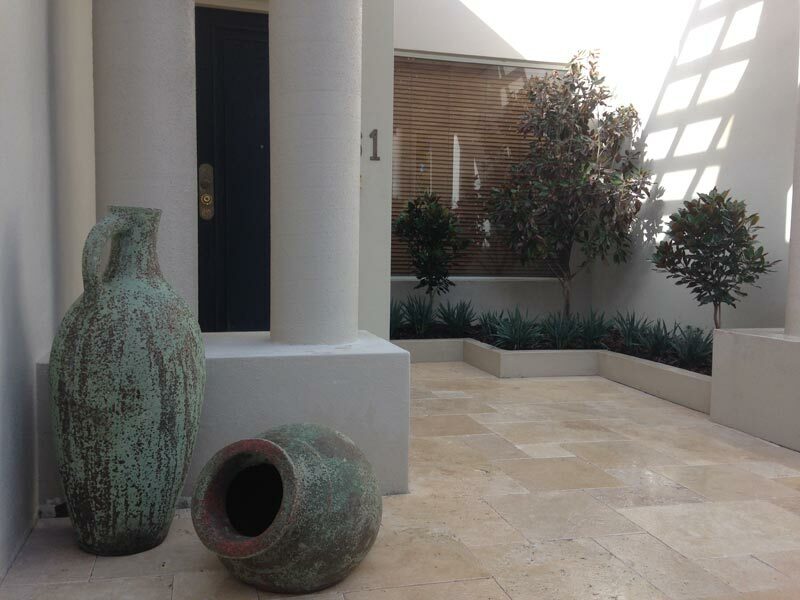 It has been a pleasure dealing with Greenprint Landscapes, and I am delighted with my new courtyard design. I can’t wait to get stuck into building my garden in the new garden beds! Thanks guys for being so easy to work with! 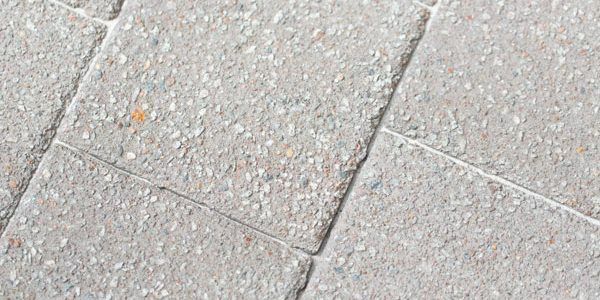 The paving you have done for us looks fantastic. The entire time we dealt with you we found you were very professional, I loved that you always started on time and were also super friendly. Nice to have tradies that are so tidy and good communicators. I have no hesitation recommending you to anyone in Perth, and look forward to having you back for our future landscaping plans. Thanks for the great job you did of our yard, it looks fantastic. Affordable, professional, reliable service, definitely recommend these guys – a pleasant change from unreliable, overpriced Perth tradesmen. 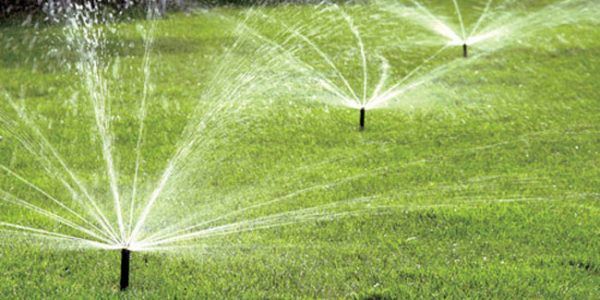 We’ve redesigned backyards for those looking to sell, breathed new life into struggling turf, and installed water reticulation systems that make garden maintenance a breeze. 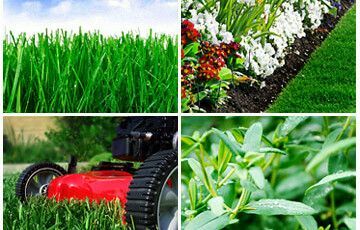 Greenprint Landscapes offers quality landscaping products and solutions for commercial, industrial and residential customers.